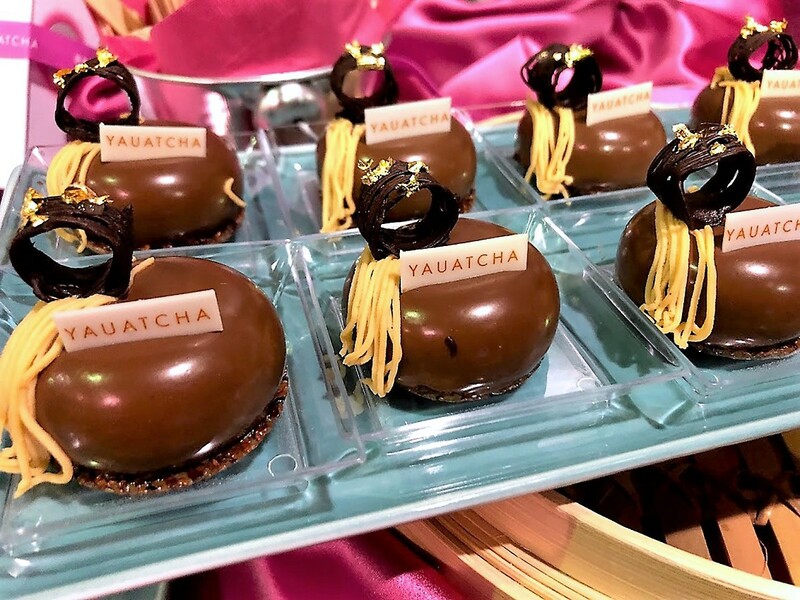 "Chocolate Pebble" made with Alto el Sol single plantation chocolate, cocoa nibs and caramelized white chocolate from Yauatcha, a semifinalist in the CultureMap Tastemaker Awards "Best New Restaurant" category. Photo by Jamie Alvear. 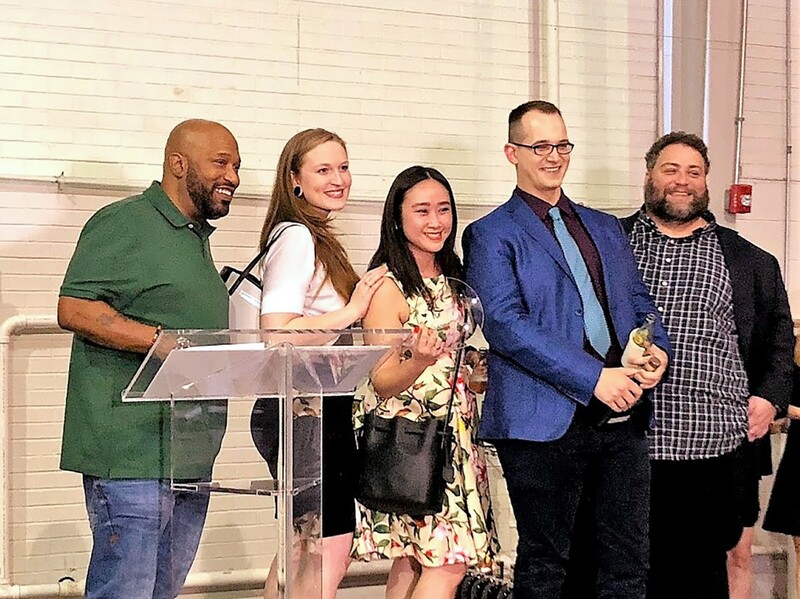 After nomination by a panel of industry experts, CultureMap Houston hosted its annual Tastemaker Awards at Silver Street Studios. Guests nibbled on bites from nominated restaurants including Himalaya, Field & Tides, Yauatcha, Star Fish and Roka Akor. For beverages, the award party included a showcase where Bartender Of The Year nominees mixed drinks using Woodford Reserve bourbon, an event sponsor. Stuart Humphries of The Pass & Provisions, Sarah Troxell of Nobie’s and Kristine Nguyen of Nancy’s Hustle each presented a signature cocktail. Unlike other awards, CultureMap editor Eric Sandler says that most of the nominees aren’t picked by the general public. The first step is coming up with a list of over 20 possible candidates for each category, then handing it off to a group of industry professionals for consideration. CultureMap Tastemaker Awards emcee Bun B (far left) and CultureMap Houston food editor Eric Sandler (far right) with employees from Paulie’s (center). The casual Italian eatery was named Neighborhood Restaurant of the Year. Photo by Jamie Alvear. The exception is the Best New Restaurant award. For that category the committee picks the finalists and then readers participate in bracket-style voting to pick the winner. Houston rap legend Bun B was emcee for the evening. As host of his own cooking series, Trill Meals, and as a longtime fan of locally owned restaurants and food trucks, Bun B is no stranger to the Houston food scene. Although he didn’t give guests a sneak peek from his new album, he did get the crowd hyped up during the winner announcements. 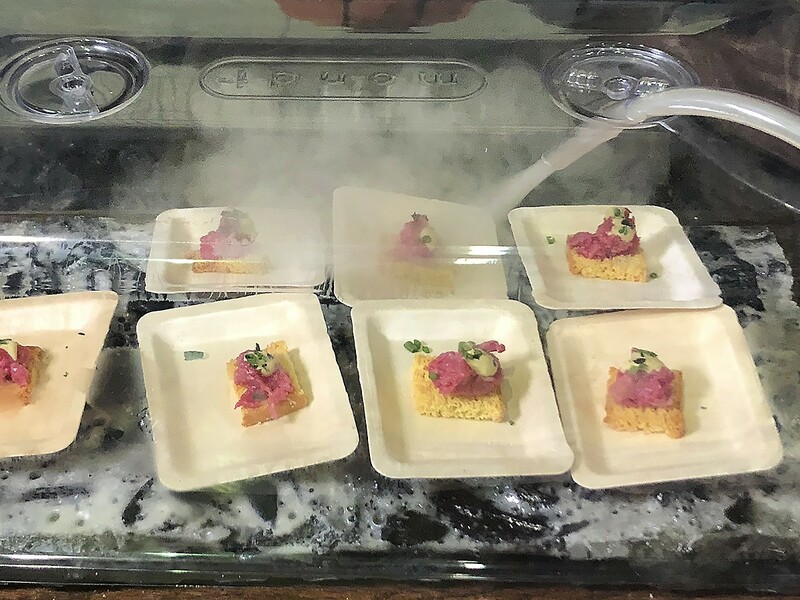 Based on the serving stations where the crowd tended to hover, the most popular bites and sips of the evening were served by previous Tastemaker Hall of Fame winners: State of Grace (2017 Neighborhood Restaurant of the Year) and Leslie Ross Krockenberger (Bartender of the Year). State of Grace served Murder Point Oysters as well as a Lox and Bagel “ice cream cone.” Krockenberger poured two different Woodford Reserve cocktails: an Apple Mignonette Cobbler and D’You Got A Good Sarsaparilla. Chef Arash Kharat of Beaver’s on Westheimer set up this innovative tube system. It allowed him to smoke beef tartare onsite at the CultureMap Tastemakers event. Photo by Jamie Alvear. Nice! One of the best desserts of the night and the greatest take on bread pudding was from Alyssa Doyle – Pastry Chef of Pinkerton’s Barbecue – White bread Pudding with a Smoked Cream Cheese and brisket fat icing, candied pecans and luxurado cherry drizzle.